Harry Potter and the Big Read, originally uploaded by johnwmacdonald. 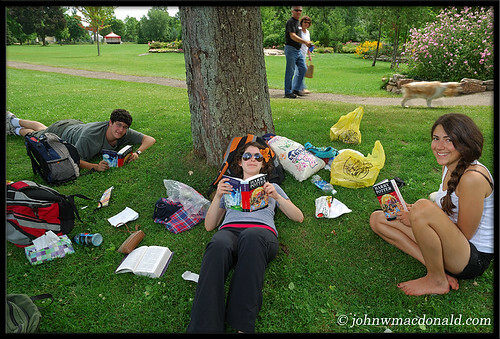 Daniel Shanker, age 17, Jillian Abramson age 16, and Hannah Cohen age 16 finish the last pages of Harry Potter and the Deathly Hallows in Big Ben Park, Perth Ontario on a beautiful afternoon, Monday 23 July 2007. 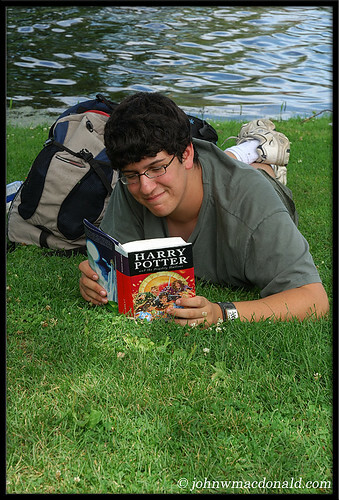 Daniel Shanker, age 17, finishes the last pages of Harry Potter and the Deathly Hallows in Big Ben Park, Perth Ontario on a beautiful afternoon, Monday 23 July 2007.